In 2012 Travka releases their third album - OKEAN. The band decided to print just 5 records of Okean and launched each of them in five major cities of Romania asking their fans to engage into communication and pass the album from one to another. Okean became the first traveler's album ever. As a Bucharest tourist in searching of live music experiences don’t miss this! "TRAVKA live! " Concert in Bucharest. 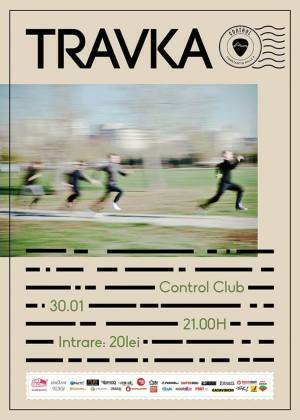 You can get here description, reviews, address, time and details of "TRAVKA live! " Concert in Bucharest. Visit Bucharest Tips for more Concert events in Bucharest!